Never has the routing of tyranny been so comprehensive, so complete, so deep down to its very root. For all Kwara patriots, the myth of the oppressor’s invincibility has been shattered once and for all. However, the bitter, bloodied marathon struggle that culminated in the O TO GE victory long predated O TO GE. While the credit list of the revolution’s heroes is justifiably top heavy with stalwarts of the APC apparatchik, from Abuja to Kwara, inclusive of key protagonists within the Abdulrazaq inner caucus, an authentic heroes list is inconceivable without acknowledging the tenacity of age old anti Saraki fighters. Long before the courageous decamping into APC of Iyiola Oyedepo (of the light and darkness cannot co exist fame), long before the singularly patriotic sheathing of the swords by Professor Oba AbdulRaheem, following the post primary tensions, long before the indefatigable leadership of the APC revolutionary army by Bashir Bolarinwa, long before Dele Belgore’s amazing display of party discipline, displayed in uncharacteristically prompt endorsement of the primary winner, there were stout hearted renegades who fearlessly took the fight to the very gates of the Saraki desecrated executive mansion. These lion hearted and deification worthy heroes of the people’s struggle waged a painfully lonely war but remained resolutely steadfast while almost the entire Kwara populace stood petrified for years, wholly hypnotized under the spell of Bukola’s mythical insurmountability. True marathon runners, these implacable foes of corruption and oppression dared to dig in, at great personal peril, becoming perennial thorns in the flesh of Bukola Saraki. Among these pre O TO GE hall of famers are notables like Isaq Modibbo Kawu, whose fierce repudiation of Saraki’s devious colonization of Kwara resulted in a prolificity of scathing lamentations over many many years. But, there is also a chorus of unsung heroes, whose humble estate are far removed from the rarified chambers of political stardom. Those will never be invited to Governor Abdulrahman Abdulrazaq’s inaugurals nor be received in audience by a grateful President Buhari. Nor might they hope for a paparazzi covered visit to their lowly abodes by Asiwaju Tinubu, Adams Oshiomole and Alhaji Lai Mohammed, indefatigable midwives of the Abdulrazaq miracle ascendancy. But true heroes are they, of our people’s struggle. Especially to be celebrated among these dogged fighters are the feisty clerics of the Ilorin Ummah, who defying material inducements from a pagan, apostate oligarchy that masqueraded as authentic sons of Alimi, saw through what they serially and stridently decried as Saraki’s ‘haram’ stained attempts at mass emasculation of Ilorin’s globally acknowledged Islamic sanctity. These are the true jihadists, purveyors of the almighty’s eternal truth, upon whose famished faces all of the benevolence of heaven must be smiling today. But now with APC’s and Malam Abdulrazaq’s dream victory comes new hope. For passionate advocates of sustainable development in Kwara, this new hope also calls for deep reflections concerning the aftermath of victory. As the “O TO GE” caravan gets ready for city wide victory dances, in the euphoria of a long anticipated triumph, the enormity of the tasks ahead and the deep leadership imperatives that come to the fore, must necessarily occupy the thoughts of key leaders. For when the wild jubilations have died down, there will remain, in all of its stark complexities, the herculean, and predictably, quite lonely leadership burden that this singularly historic liberator must bear from the second he is declared governor elect. 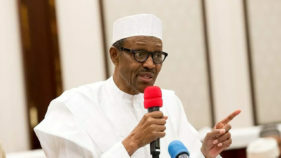 All key stakeholders must realize that in the very heart of the momentum that has propelled APC to victory also lies long pent up mass frustration, freshly stoked anticipation and street level expectations that often constitute the seeds of quickly unraveling discontent, and retail level impatience. While vanquished opponents seethe, baleful eyed, with envious rage therefore, there can be no policy inertia on the part of the new leader. As grueling as the campaign must have been on key stakeholders, there can be no luxury of long recuperation. In a state where poverty level is only a peer or two away from the very bottom of the national rung, in a state where mass youth unemployment has precipitated a frightening security risk and crime rate index, in a state where GDP indicators have remained perennially abysmal, the new leaders must know that mass restiveness are a disturbing latent sibling of the current giddy embrace of the “O TO GE” movement. 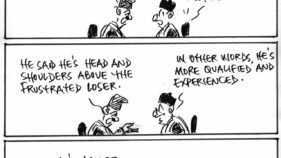 If this is the brutal truth, there is also a context in which, perhaps, in terms of managerial and entrepreneurial pedigree, no one is more ready to tackle Kwara’s hydra headed challenges head on than Abdulrahman Abdulrazaq. The strategic tension will be how should the fortuitous leader of a people’s uprising such as this, transform from the back slapping, eager to engage, soap box comrade of all and every self declared ‘political chieftain’ into his historically defined role of a focused paradigm shifter leader. 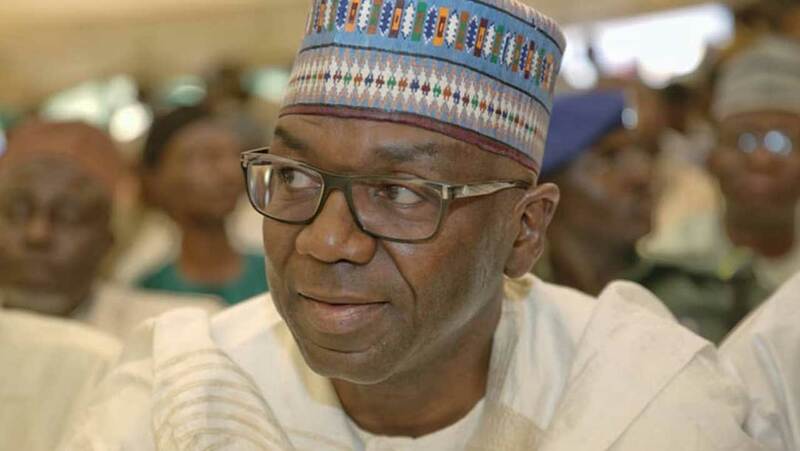 For while Governor Abdulrazaq must retain the charisma and the grass roots affinity that makes for a people’s governor on the one hand, true paradigm shift, measurable in a tangibly transformative throughput, does demand that Kwara’s long awaited new leader must jettison street level analog thinking and embrace radically disruptive fresh thinking. While actionable insights must necessarily be drawn from the native intelligence and empirical authority of the popular leaders, from state, to local to ward levels, true portents of leadership greatness will reside in Governor Abduleazaq’s ability to distil clinical truth from a cacophony of often self seeking prognosis. That arcane capacity to navigate through a maze of interconnecting variables, isolating with purpose and firmness, priorities and forceful actions that yield expedited and visibly applaudable outcomes is ordinarily the forte of high success entrepreneurs and business captains of Abdulrazaq’s pedigree. However with the mediation of a political and governance culture in which fidelity to the social contract is often painfully tenuous and personal pecuniary considerations take disproportionate primacy in the hearts of virtually every political associate, a leader who is truly intent on transformative outcomes soon comes to the sobering realization that truly catalytic implementation of flourishly declared manifestos are often not birthed in collegial amity with babanriga cladded career power mongers. Rather, true alchemy, as Governor Abdulrazaq may have discovered in his entrepreneurial life journey, is often ignited in a painfully lonely incubation furnace. That fiery fire in the belly, a certain deeply recessed destiny call to service, to history, to greatness, fueling a leader’s performance ambition with irrepressible propulsion. 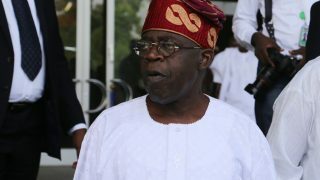 Ask Asiwaju Bola Tinubu. Ask a certain Muhammadu Buhari. Suleiman, political economist and policy analyst, wrote from Lagos.